The Festival includes the Inaugural “Moreton Bay Madness” Fishing competition, marine & boat expo, jet-ski racing, pop-up restaurants, food & wine expo, live music, static displays, on water demonstrations and an interactive community ground festival held in conjunction with potentially Australia’s largest Catch & Release Eco-fishing competition with over $250,000 in Prizes to be won and given away. The Austackle Moreton Bay Madness catch & release fishing competition presented by Festival Guest Paul Burt, Channel 7 personality. Including prize giveaways. The Moreton Bay Marine & Boat Expo including on-water demonstrations and displays. 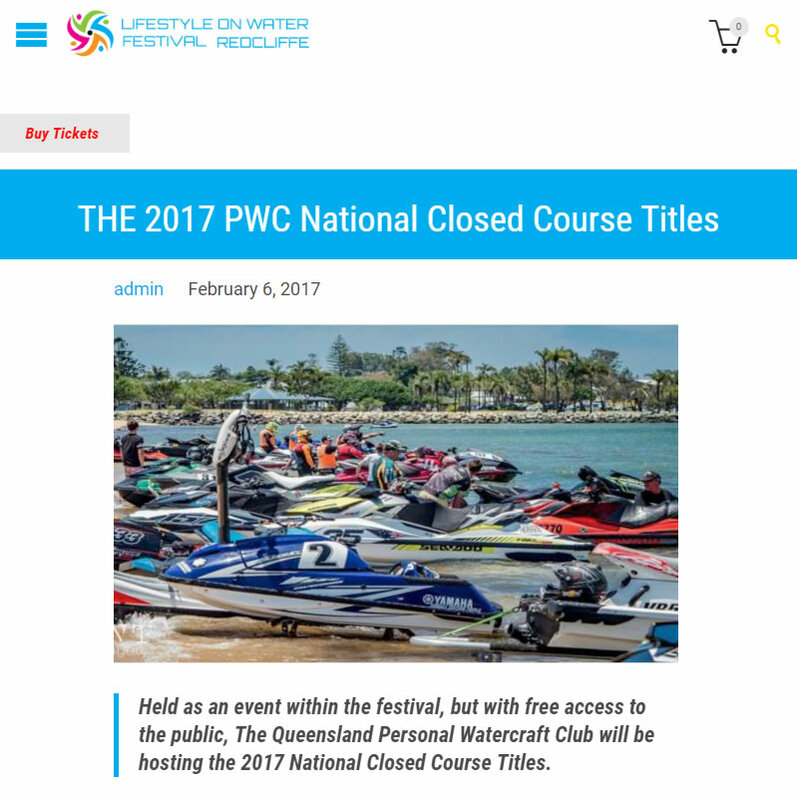 The 2017 PWC National Closed Course Titles in multiple classes of Jet Ski racing with local and International competitors competing for the coveted titles. Live Music with Guy Sebastian, local artists and special guests.